Thanks Trevor! I’m really looking forward to exploring the Otago history more when I’m there in May/June. It is good news that you will be following the path of the Cantonese miners of Victoria who were invited to come to the Otago gold fields. These miners’ celebration of Chinese New Year is interesting because they made a point of inviting Europeans to join the festivities. The ‘Papers Past’ website [https://paperspast.natlib.govt.nz/] has many accounts. Here are a few samples. You will notice that John Alloo (mentioned in the last item) who worked in Otago as an interpreter and a constable, was one of the Cantonese who had come over from Victoria. He ran a restaurant in Ballarat, and a replica of it can be seen at Sovereign Hill. Many of his descendants have been important figures in New Zealand’s legal system. Kate, I hope your visit is equally successful. 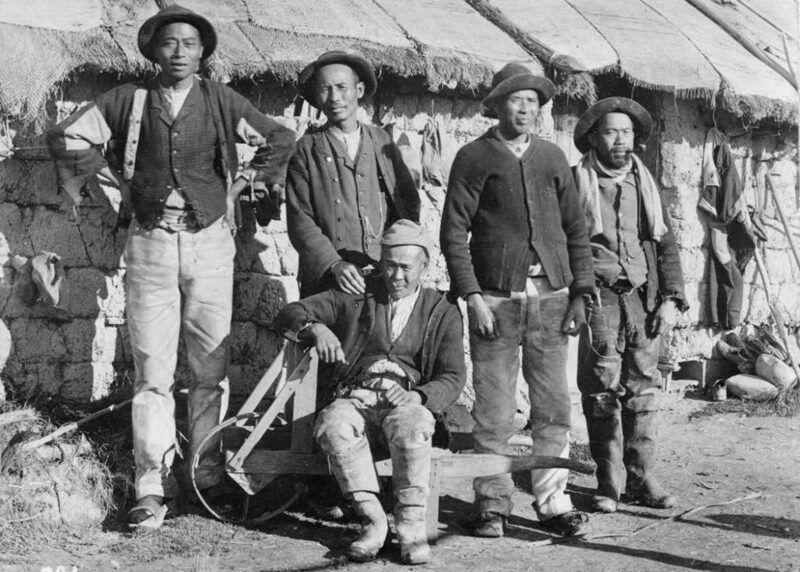 ‘The Governor has forwarded the following reply to the Chinese addresses, which were presented to him during his recent visit to the Wakatip:—” The Governor has received, with much pleasure, the two addresses presented to him by the Chinese miners of Queenstown, iu which they assure him of their loyalty to the Queen, and of their earnest desire to conform to the laws of this colony. Wherever the British flag flies, all persons under its protection are entitled to equal justice in the Courts, and to equality before the law. The Chinese New Year was celebrated with great rejoicing at Big Beach, Shotover, on Thursday last, the 30th ultimo. [30 Jan 1873] The feast being thrown open to all comers, many Europeans, from curiosity as well as good will, availed themselves of the opportunity of acquiring some insight into “ye manners and customs of ye Celestials,” and received a hearty welcome. At half-past 3 o’clock the visitors sat down to dinner, which consisted of fowl, roast pork, Chinese vegetables, custards, wines, spirits, &c; after which some prominent residents of Queenstown returned thanks to the Chinese for the reception received at their hands, and then adjourned for the purpose of witnessing a grand display of crackers, which were fired off in commemoration of the day.